Catch basins are chambers or traps located along the curb line, which collect surface water runoff. The catch basins trap sediment, thus, preventing solids from clogging the storm sewer. Catch basins must be cleaned routinely to trap sediment and prevent flooding conditions. 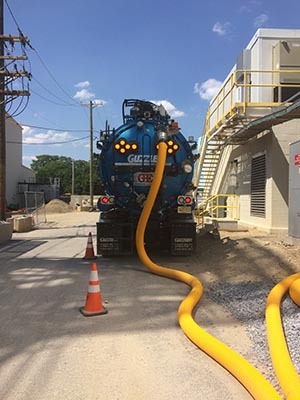 These devices have many aesthetic and water quality benefits including, reducing odors, suspended solids, and oxygen demanding substances (i.e. bacteria) that reach receiving waters. Catch basins collect direct runoff from the roadway. Along with stormwater runoff, debris, sediment, and chemicals also enter the storm drain eventually entering lakes, rivers, and streams. Consequently, catch-basins should be periodically inspected and maintained to mitigate pollution from entering the connecting body of water. 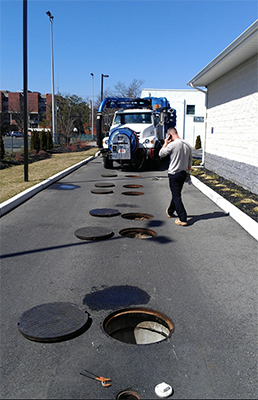 Typical maintenance of catch basins includes cleaning and sediment removal through the use of a Vactor truck. 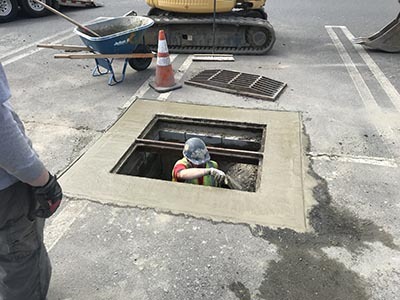 GE Mechanical provides a low-cost solution by developing a schedule to routinely clean catch basins. Prioritizing a cleaning schedule ensures that the stormwater structures perform at their maximum potential throughout the year. 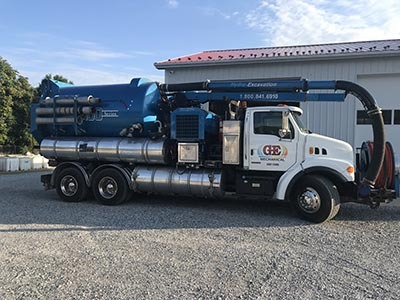 GE Mechanical has all of your Vactor services that are available 24 hours a day, 365 days a year!